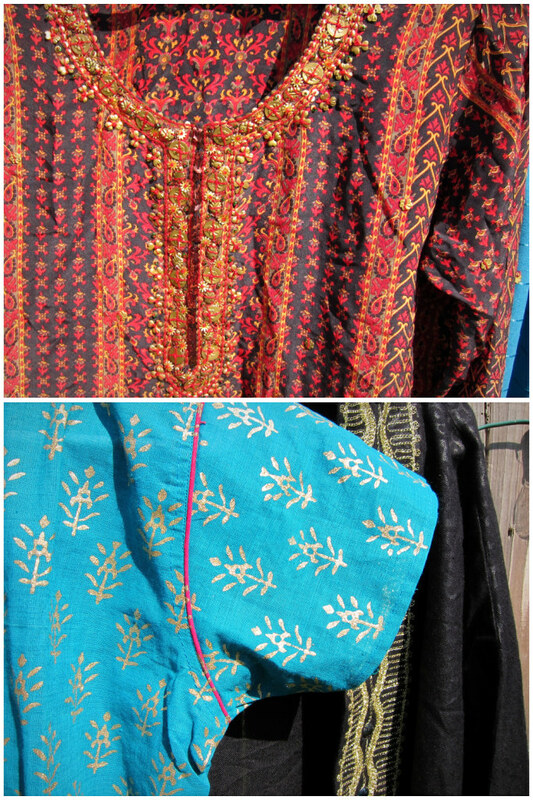 Today's finds: an Indian tunic, a Mexican housedress, a Liz Lange maternity blouse, a hand painted Asian tunic, and a jeweled robe from Pakistan. Before I left for today's thrifting adventure, I sifted through my most recent outfit posts and picked out what is working for me as I'm growing and what isn't. One of my favorite outfits has been the dashiki and shorts combo (recently linked on Stay Forever Sunday. Squee! Thanks, Melissa! ), so although I may get stuck in a rut, I do expect to do some variations on this theme. I picked up a couple more pairs of maternity shorts from Target, and there's plenty of room to grow in my new-to-me tunics. I'm hopeful that I won't have to resort to sweat pants and that I can continue to figure out what works for my growing body. 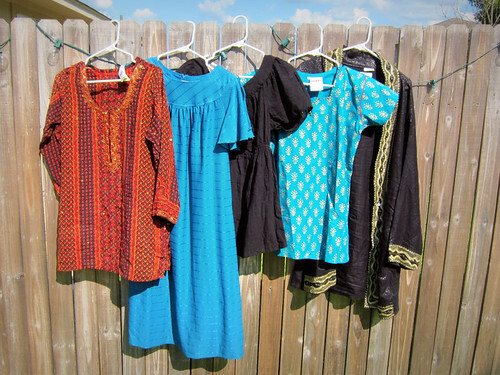 I really, really don't want to spend a lot more money on maternity wear! Flickr, you are the vehicle for grossness!